Astronomer Brian Baker (above) will participate in the Nightscape project’s first free public Star Party on Feb. 5, 6 to 9 p.m., at Jennette’s Pier in Nags Head. Photo courtesy of A Time for Science. Guest post writer Stanley R. Riggs is an internationally recognized coastal geologist at East Carolina University and serves as chair of the N.C. Land of Water program. This post describes a project funded by a Community Collaborative Research Grant supported by North Carolina Space Grant in partnership with the William R. Kenan Jr. Institute for Engineering, Technology and Science and North Carolina Sea Grant. The Milky Way, courtesy of John McCord/CSI. 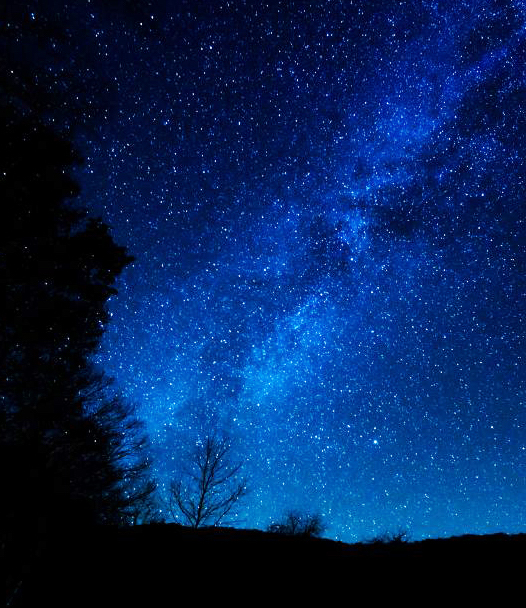 The night skies within North Carolina’s Outer Albemarle Peninsula represent the largest area of public lands — over 485,134 acres, or 758 square miles — with the darkest skies along the entire U.S. Atlantic coastal system between Boston and Miami. This unique and complex system of nocturnal environments and associated night skies rotate from the brilliant, big sky of the full moons to the inky black skies of the new moons that open the sky to a dazzling universe. A significant seasonal variation is superimposed upon the skies’ vastness that ranges between these two extremes. Cold, crisp winter nights are dominated by the overwhelming sounds of flocks of winter waterfowl, including tundra swans and snow geese by the tens of thousands, moving from refuge lakes to farm fields, along with lonesome hoots of owls on evening hunts, howls of roaming coyote packs, and occasionally the rare red wolf. Summer nights are hot, humid and dominated with a cacophony of insects and frogs, along with massive light and sound displays derived from the outlines of perfect thunderheads that move over the peninsula. And, of course, there is a never ending parade of morning sunrises and evening sunsets that daily provide new mosaics of sky magic. The Outer Albemarle Peninsula, known as the OAP, has an incredible nightscape resource for the following reasons: 1) The vast area of public wetlands is surrounded by the expansive estuarine system, all of which have minimal human activity. 2) The “Big Night Sky” presents an ideal astronomical wonderland that is generally becoming an endangered environment in the east due to ever increasing light pollution. 3) The 360 degree-horizon vistas provide incredible views of sun and moon rises and sets; thunderheads and dramatic lightning shows; and glorious zenith and structure of the Milky Way. 4) As noted above, the hot, humid drone of the spring to fall nocturnal soundscape of insects and amphibians, moves into frigid winter nights with dramatic cacophony of waterfowl, owls, and wolves. 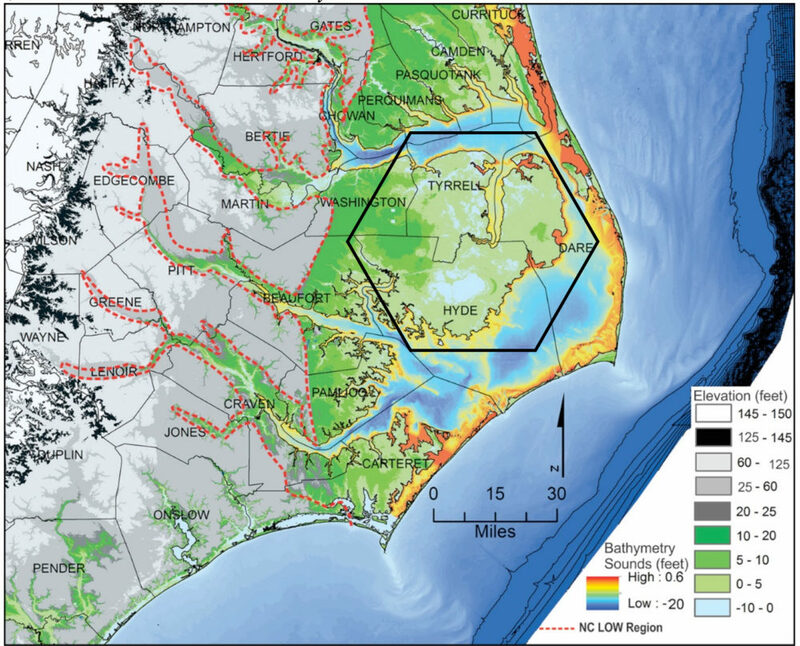 Color topography shows the North Carolina Land of Water in northeastern North Carolina’s coastal system — east of the red dashed line. The Outer Albemarle Peninsula study outlined in a black hexagon includes major portions of Washington, all of Tyrrell, and mainland Hyde and Dare counties. Map by Stanley Riggs. In a quest to better understand the nocturnal environment and dark skies of the region, North Carolina Land of Water (NC LOW) and A Time For Science (ATFS) designed a study to map and characterize the landscapes, soundscapes, and viewscapes of the OAP across four eastern N.C. counties. As NC LOW’s coastal and marine geologist, I am the lead investigator in this Nightscape resource project. Other partners include: Karen Clough, community outreach coordinator for NC LOW; Emily Jarvis, executive director of ATFS; and Brian Baker, astronomer with ATFS. The project has a working partnership with Reide Corbett, an oceanographer and executive director of the East Carolina University’s Coastal Studies Institute, known as CSI. Also, three groups of local volunteers constitute the field mapping teams obtaining nighttime observations in Tyrrell, Washington and mainland Hyde-Dare counties. The project also has developed working partnerships with the U.S. Fish and Wildlife Service teams at Alligator River, Pocosin Lakes, Mattamuskeet, and Swanquarter National Wildlife Refuges, along with the N.C. Wildlife Resources Commission and N.C. State Parks. NC LOW and ATFS are nongovernmental organizations involved in regional coastal research and science education initiatives in the northeastern North Carolina. Their missions include to: 1) contribute to scientific understanding of the dynamic coastal system; 2) delineate potential sustainable eco-tourism opportunities; and 3) carry out regional K-12 and public science education programs in the region. All of their programs are framed around the unique natural resources and rich cultural history that reflect our state’s world-class coastal system enhance the quality of life of residents. Our Nightscape survey teams are comprised of scientists, educators and students that live and work in the coastal region. From June through December 2018, the teams went to their respective counties on 13 new- and full-moon nights. Combined, they tallied 161 visits to 62 sites. Broken down by county, the Nightscape data collections were: Mainland Dare: 54 visits to 14 sites; Mainland Hyde: 37 visits to 18 sites; Tyrrell: 40 visits to 13 sites; and Washington: 30 visits to 17 sites. In addition to describing the surrounding environment, accessibility and apparent urban noise and light pollution at each site through the four seasons, researchers measure quality of the sky darkness, ambient sound and meteorological parameters. Data from these surveys will be used to quantify and map the general nightscapes and light pollution in the OAP. This knowledge will help shape plans to protect our unique Nightscape resource, to responsibly incorporate the resource into ongoing ecotourism programs, and potentially to enable the peninsula to earn regional designation as an “International Dark Sky Place.” The Dark Sky Place title — and accompanying backing of the International Dark Sky Association — would enhance the visibility of the regional dark sky resource and foster ecotourism and sustainable economic activity in the region. On Tuesday, Feb. 5, NC LOW, ATFS and CSI will host the first of three public Star Party events sponsored by the Nightscape project. The event will be from 6 to 9 p.m. at Jennette’s Pier in Nags Head. The event is open and free to the public. The program will be led by several astronomers and will feature night-sky programs in a portable planetarium (regardless of the weather) along with viewing the night sky with a series of telescopes, if it is not overcast. For more details on the Feb. 5 event, contact John McCord from CSI at 252-475-4550, or read a CSI story here. Future programs as part of the Nightscape project will be held in Bertie County at the end of February to early March, and also in Tyrrell in April. Watch for details on those events. 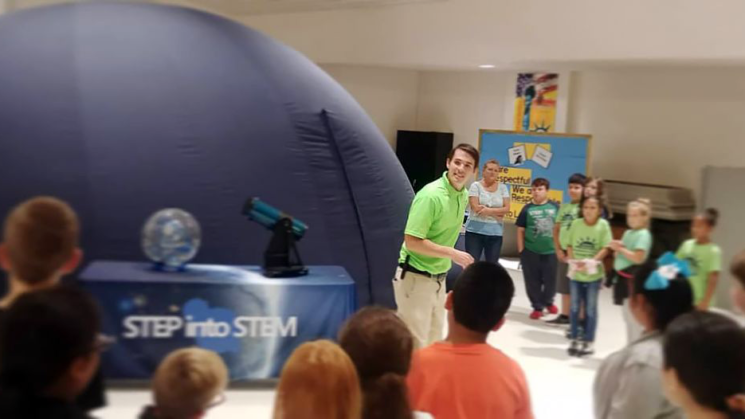 Also, NC Space Grant and partners across the state will be hosting a series of Star Party events as part of the North Carolina Science Festival and the Lift Off NC: Apollo + Beyond collaboration, celebrating the 50th anniversary of the first lunar landing, in April. For more information on other Star Party events, go online to ncsciencefestival.org/starparty. This post originally appeared on the North Carolina Sea Grant Coastwatch Currents blog.